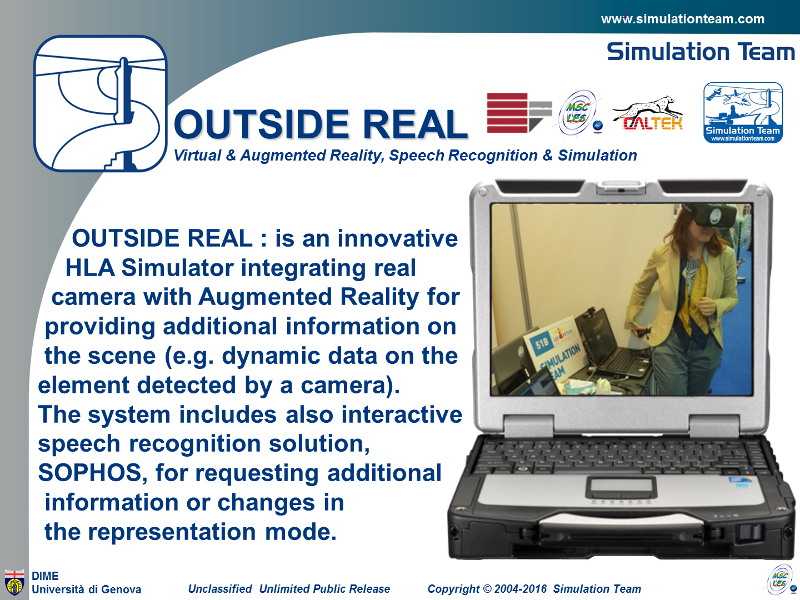 OUTSIDE REAL : is an innovative HLA Simulator integrating real camera with Augmented Reality for providing additional information on the scene (e.g. dynamic data on the element detected by a camera). The system includes also interactive speech recognition solution, SOPHOS, for requesting additional information or changes in the representation mode.